This screenshot has 3 Gridcolumn controls, each with its own group of children. 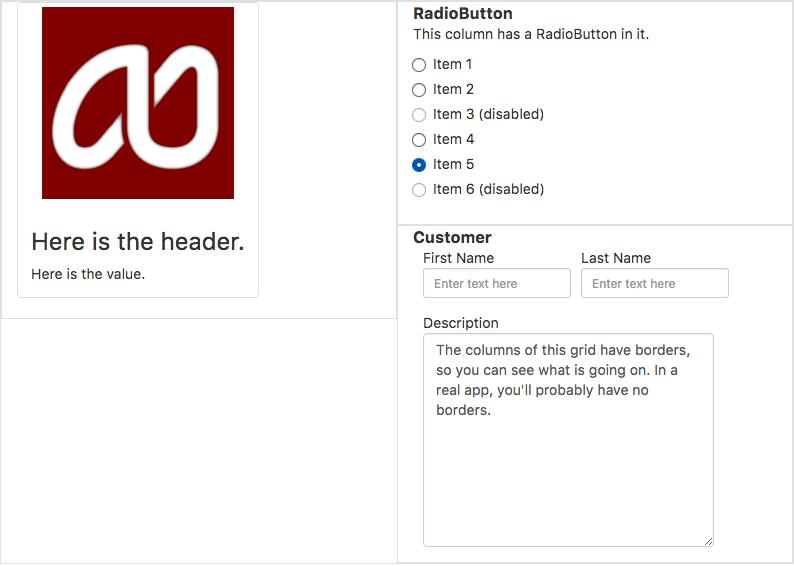 The first Gridcolumn has a header, the second a Radiobutton and the third has a Customer. Te arrangement will depend on the screen size. GridRow is a container for GridColumn controls. It is an important part of making apps responsive, so they appear differently on different screen sizes. For more information on Bootstrap Grids, see Bootstrap Grids. Not applicable. See Grid for a complete sample with GridRows. This page was last edited on 2 February 2019, at 14:17.